Ruthiebear (Titusville, NJ, United States) on 27 October 2012 in Lifestyle & Culture and Portfolio. 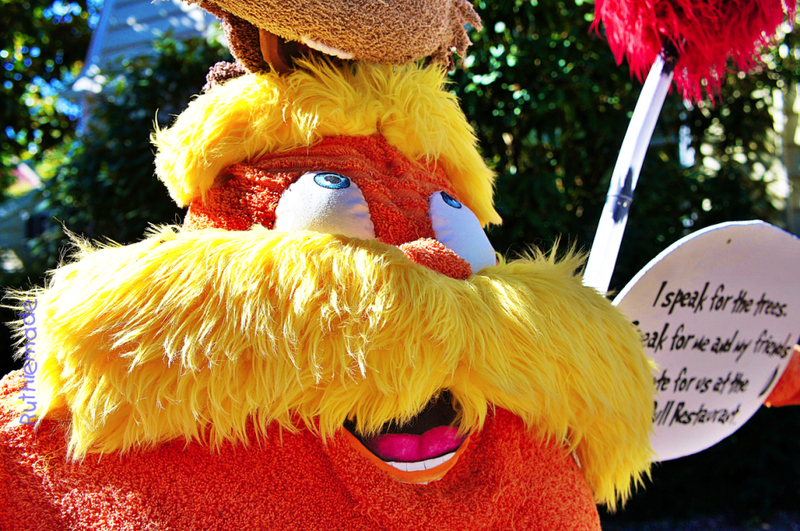 Today's scarecrow is the Lorax, who speaks for the trees. De beaux yeux bleus et ce jaune orange vif merveilleux captage. Haha, I'm not very scared. Die Farben sind einfach Super. Gorgeous colors and a nice close shot, Ruthie! Ha ... these are fantastic. A remarkable scare crow. Great, brilliant colors make this one POP. Superbe capture, wonderful colors and sharpness. It is beautiful, the birds must have feel like playing with him. The colors are superb. I love it. Beautiful, joyful shot. The Lorax is a favorite character of mine. Speaking for the trees. He he - another lovely scarecrow with a mission. I totally agree, well seen and shot…. AUU, I am, almost scared. Beautiful color! He looks so happy! Wonderful image! @Elaine Hancock: I hope you will be safe from the effects of Sandy. We are right in line to be hit. Oh I like this very much ! Beautiful. He looks realy happy too ! It may be a scarecrow, but this is the most brilliantly vibrant sharpest picture ever ! @Michael Fresh: Thank you so much. You have always been so helpful and encouraging and I appreciate it. I have been feeling low since Friday. I've never seen such good scarecrow with design and color. Great shot with good color and light. That passes good Sunday. Ah, Lorax is a favourite in this household. Terrific shot with those bright happy colours. I'm glad someone speaks for the trees. Cool shot.